BRIDGEPORT, Conn. – When a passionate group of animal lovers, board members, and Zoo supporters get together, the outcome is a fabulous way to raise funds for Connecticut’s Beardsley Zoo. A group of women and men from around the region have joined forces to create an elegant evening affair, designed to raise money to support the Zoo’s endangered species and enhance habitats. 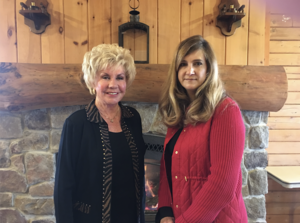 The Gala Committee, co-chaired by Kathy MacGhee of Shelton and Cathy Fell of Fairfield, is planning an Endangered Species Gala to be held on November 3, 2018, at The Patterson Club in Fairfield. Committee members include Melissa Bradshaw-Mack of Weston, Laurie Heiss of Redding and Greenwich, Michelle Cremona Walker of Fairfield, and Donna Rosenbloom of Weston. Also serving on the committee are Gail Craig of Shelton, Kimberly Rodney of Bridgeport, Cindy Czaplinksi of Wallingford, Craig Elkind of Greenwich, Sean-Michael Green of Orange, and David Norton of Pound Ridge, New York. “The evening will feature cocktails, a seated dinner, a live and silent auction, and special entertainment. Come meet the Zoo’s animal ambassadors along with animal experts who can answer questions and share information about the Zoo’s mission,” said Co-Chair Fell. The Gala’s Guest Speaker is Richard Weiss, world-class explorer, Emmy award-winning producer, and author of the book Born to Explore: How to be a Backyard Adventurer. Since he climbed Mt. Kilimanjaro at age 11, he has journeyed to all seven continents, tagging jaguars in the Yucatan jungles, leading expeditions to Australia’s Northern Territory and participating in the largest medical expedition ever conducted on Mt. Everest. Weiss is a resident of Westport, Conn. The evening’s Master of Ceremonies is David Pogue, an American technology and TV science presenter. He is a personal technology columnist for Yahoo Tech, a tech correspondent for CBS News Sunday Morning, a columnist for Scientific American and a former technology columnist for The New York Times. Pogue has written or co-written seven books in the For Dummiesseries (including Macintosh computers, magic, opera and classical music.) Pogue is also a resident of Westport, Conn. The recent birth of a baby Giant anteater, two Amur tiger cubs and three maned wolf pups has helped to focus attention on the Zoo’s participation in the Species Survival Plan (SSP), a species management program administered by the Association of Zoos and Aquariums (AZA) for its member zoos. 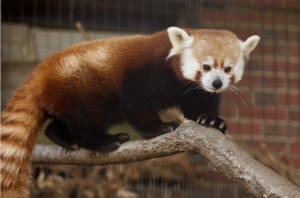 Connecticut’s Beardsley Zoo is home to a number of endangered species, including two of the world’s rarest big cat, the Amur leopard, in addition to two Red wolves, Amur tigers, Chacoan peccaries, Golden-lion tamarins, Mexican wolves, and Red pandas. A number of other Zoo residents are considered vulnerable or threatened. About Connecticut’s Beardsley ZooSpend the day a world away! Connecticut's only zoo, celebrating its 96thanniversary, features 300 animals representing primarily North and South American species. 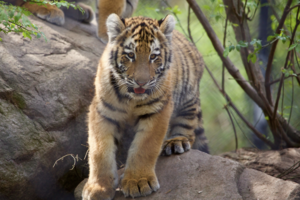 Guests won't want to miss our Amur (Siberian) tigers and tiger cubs, Amur leopards, Maned wolf family, Brazilian ocelot, Red wolves, Mexican wolves, and Golden Lion tamarins. Other highlights include our South American rainforest with free-flight aviary, the prairie dog exhibit with "pop-up" viewing areas, the New England Farmyard with goats, pigs, sheep, and other barnyard critters, plus the hoofstock trail featuring bison, deer, and more. Guests can grab a bite at the Peacock Café, eat in the Picnic Grove, and enjoy a ride on our colorful carousel. For more information, visit beardsleyzoo.org.